2016 repress. "In 1979, historian David Evans, a professor of music at the University of Memphis, chanced upon Junior Kimbrough playing at Ethel's Juke Joint in Holly Springs. The University had recently created its own small record label called High Water and he brought Kimbrough in to cut some sides, including his next single titled, 'Keep Your Hands Off Her.' 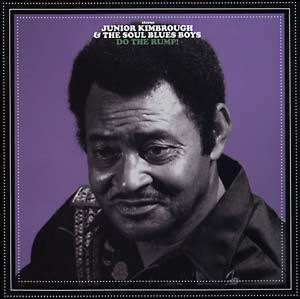 The sides would be compiled for Junior's first full-length album, Do The Rump!. The result has become hill country legend, and his band, featuring Calvin Jackson on drums (father to Cedric Burnside and one of the most rock steady drummers of all time), created a sound that launched a whole new generation of blues fans. This is the first time this record appears on vinyl." On 180 gram vinyl.